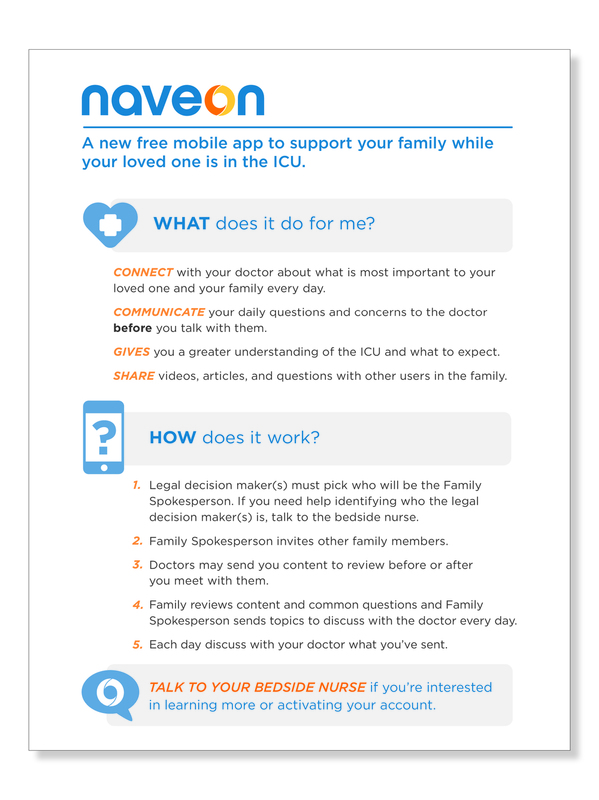 Looking to communicate to patients, hospital staff and the general public who they are (a new app to comfort and clarify communication between patient families and their care teams in the ICU), Naveon was looking to produce easy to digest informational materials that reflected the nurturing center of their brand. 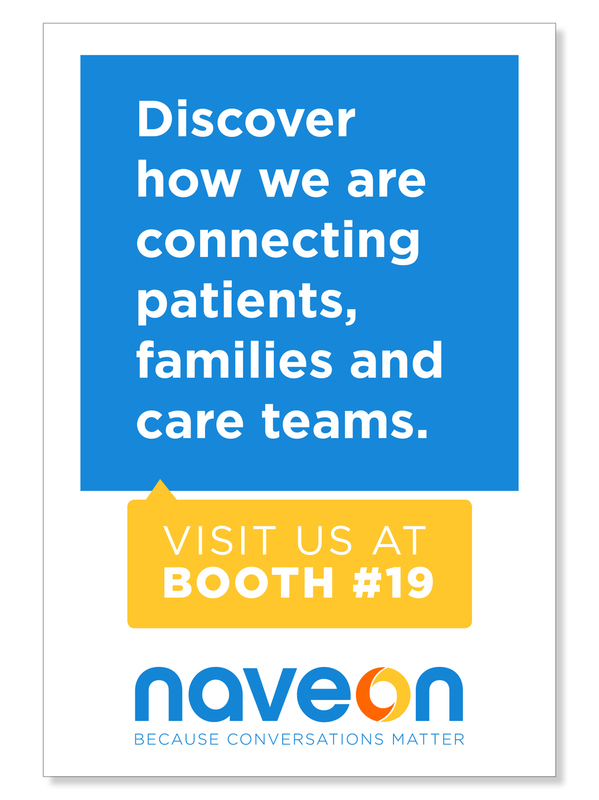 After assessing where the brand stood graphically, I designed secondary elements to use throughout their marketing materials. 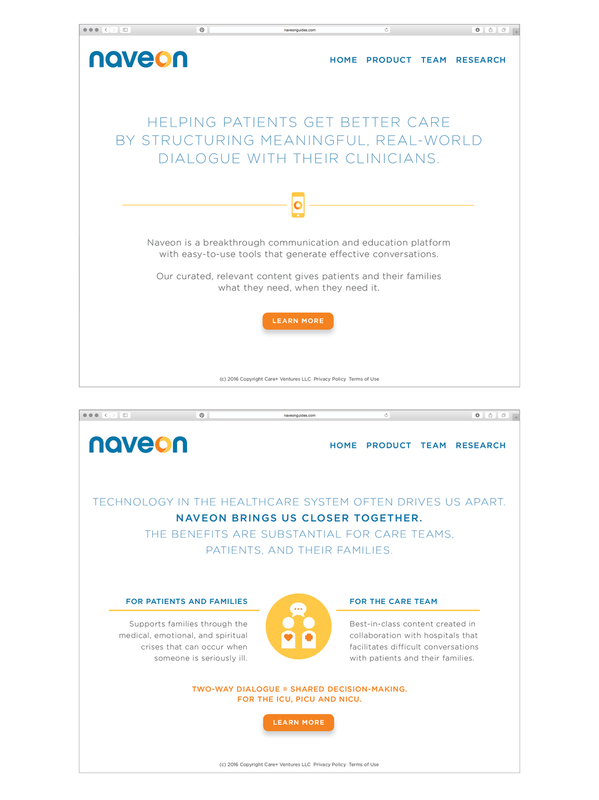 From there we created internal instructional materials for staff and patients, and begun basic website design.